Something which always strikes me about the refugees we accompany, serve and advocate on behalf of is their strength and resilience. They have faced so much trauma, which they continue to carry, and somehow still have a smile to share and a positive outlook on life. I’m even more amazed when I hear these stories from the women we accompany – maybe because as a young woman I relate to it more – and I often find myself asking where do you find the strength. To mark International Women’s Day on 8 March, Bridgette and Cecil agreed to share their experiences with you. I hope you will be as inspired as I am. Bridgette and Cecil both come from the Democratic Republic of the Congo (DRC), a large country in central Africa, and are now close friends. DRC has a complex history and has been ravaged by civil war fuelled by the country’s vast mineral wealth. When I asked Bridgette what message she wanted to share today, it was a simple one – “to stop war and to protect vulnerable women”. Bridgette and Cecil have experienced continuous conflict, in an environment where women are used as weapons of war, and yet Bridgette is one of the most joyful people I know – always seeing the positive and full of hope that things will be better. That’s not to say that things in the UK haven’t been hard – Bridgette explained that her journey to being recognised as a refugee was a long and tough one. At times she describes feeling “abandoned, rejected and like she no longer exists”. 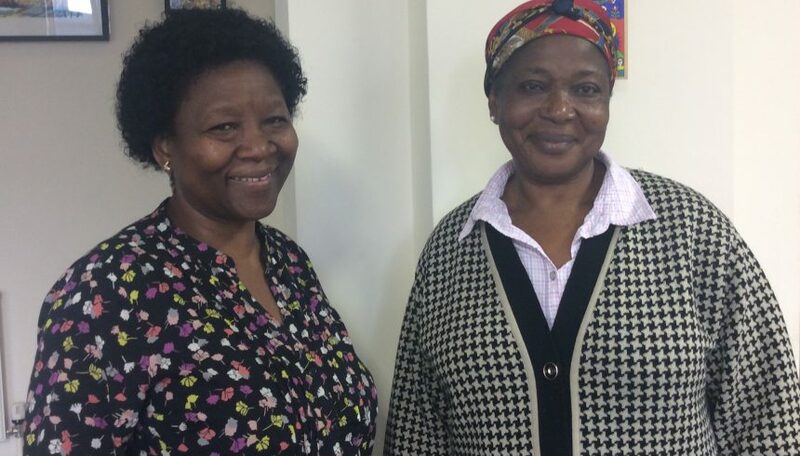 When Bridgette received the news that she had been granted leave to remain in the UK, that she has finally been recognised as a refugee, she tells me that her heart was singing – it was like a weight had been lifted. She could finally stand tall and her life could begin. 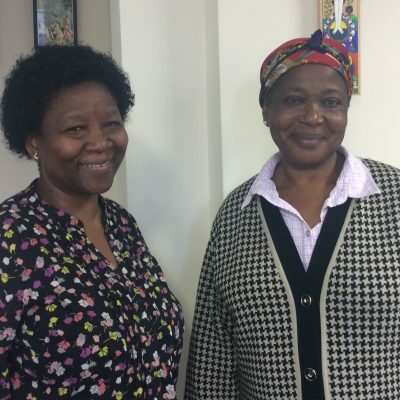 Cecile was the very first of our refugee friends to be hosted by JRS’s ‘At Home’ hosting scheme back in 2012. She lived with a community of the Sisters of the Holy Family of Bordeaux for three months, “I was in Paradise!” she says. It was the first time for a long time that Cecil had celebrated and received a gift for her birthday – a house coat and a box of diabetic chocolates. Those times stand out for Cecile as being loved and supported as a human being, “which is all anyone needs”. Cecile keeps in touch with the Sisters and is so grateful to them for offering their home to her. Unlike Bridgette, Cecile is still awaiting news of her application for asylum. In December JRS UK supported her to travel to Liverpool to submit a Fresh Claim for asylum – which must be done in person, in Liverpool. Bridgette and Cecile are both incredibly strong women who inspire me to continue to #BeBoldForChange and to advocate on behalf of refugees. On behalf of their rights as human beings, as individuals. To inspire a community of hospitality and welcome, against a backdrop of ever growing hostility.